The Self Auto Enrolment feature enrols the user into a course directly from the Register Now button associated with an upcoming event OR the user can enrol from a front page list of courses. 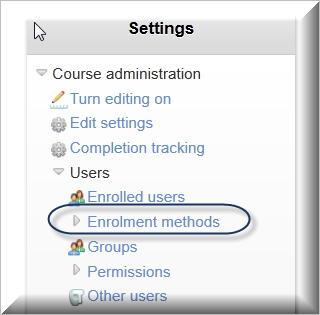 In both cases, the user is not required to click on an additional enrollment button that appears for the standard Moodle Self Enrollment option. The Default role assignment is Student. 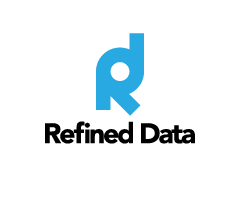 You can also set Enrolment duration or leave it unlimited and limit the number of users that can enrol into a course by this method under Max enrolled users. When this enrolment method is selected, the system-wide Course welcome message is disabled and will not be sent when the student enrols via this method. This is not the same as the welcome message using Refined Reminders that are selected inside the course. When the Enrolment methods screen comes up, click on the eye to the right of Self Auto enrolment to hide that enrolment method. If you are certain you will never use Self Auto Enrolment for that particular course, you can click on the red x to the right of Self Auto enrolment to remove the option. 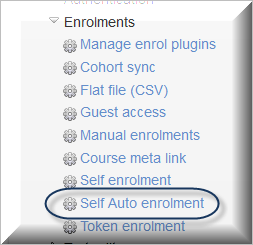 When the LMS shows the message ‘Do you really want to delete enrol plugin instance "Self Auto enrolment (Student)" with 0 enrolled users?’ click continue. If the message indicates that you do have users in the course who have enrolled via Self Auto Enrolment, clicking continue will un-enrol them from the course. In such cases, choose cancel, then just close the eye to prevent additional students from registering via this method or ensure the users are assigned to another enrollment method. 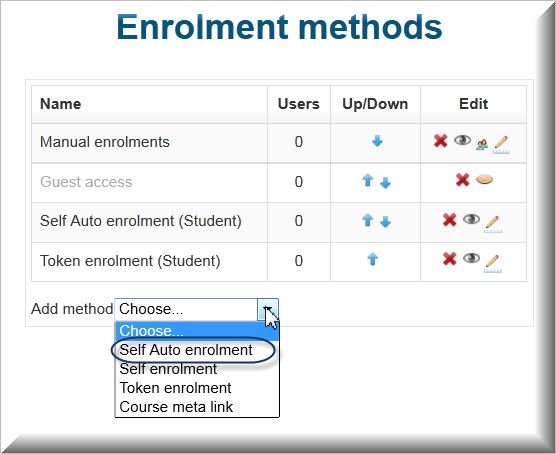 At any time, you can edit an enrolment method by clicking on the edit icon to give the enrolment a unique name for a particular course, set the duration of the enrolment, limit how many users can enrol or set what the start and end dates, among other options. Save any changes.